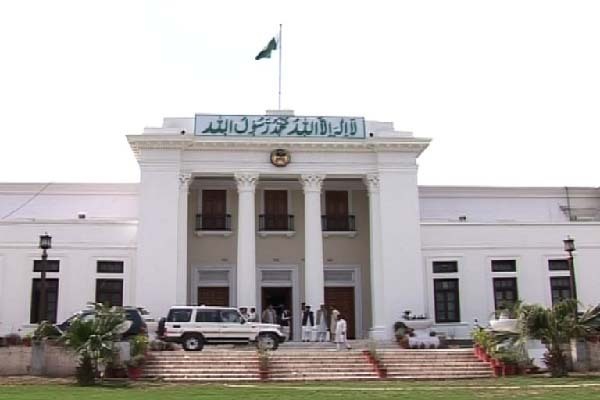 PESHAWAR, Aug 10 (APP): The lawmakers of Khyber Pakhtunkhwa Assembly here Wednesday observed the successful actions and operations of the Government and law enforcement agencies under National Action Plan (NAP) have isolated terrorists by reducing space for them to reorganize and operate freely. They said terrorists were on the run in the country to safe their skins as the successful Operation Zarb-e-Azb has broken their back and their sanctuaries were destroyed. framework, strategy and guidelines to the nation and law enforcement agencies to exterminate terrorism. Nalota said work on NAP was successfully underway in the country and was producing very positive and tangible results. Due to present Government’s effective strategy under the NAP, the incidents of terrorism have been significantly reduced while the overall law and order situation has improved in the country. “The desperate terrorists were now hitting soft targets like Quetta attack as they were finding no place to hide,” he said, adding the perpetrators of terrorists attack on innocent people in Civil Hospital Quetta deserve no mercy. Nalota said anti state elements through cowardly attacks were trying to sabotage the projects of immense importance, China-Pakistan Economic Corridor Project (CPEC), saying they would not succeed in their nefarious designs and would be crushed as the people of Pakistan are fully determined to make CPEC successful. saved settled areas of KP from terrorists. of KP and people of this province would be the first targets of militancy and terrorism. However, he said the brave police and security forces accepted this biggest challenge and successfully defeated them. He paid rich tributes to sacrifices of personnel of law enforcement agencies and police who stood up before terrorists like a solid rock and defeated them at their strongholds. Owing to successful anti-terrorism operations and matchless sacrifices by our security forces and civilians, law and order situation has significantly improved in the country especially in Khyber Pakhtunkhwa and Karachi. The great hustle and bustle that we are witnessing today in bazaars and markets on occasion of Independence Day is due to supreme sacrifices of our security forces who laid down their lives for better and safe future of coming generation. He said the best tribute to celebrate Independence Day this year is to share the celebrations with the bereaved families and children of martyrs of law enforcement agencies.